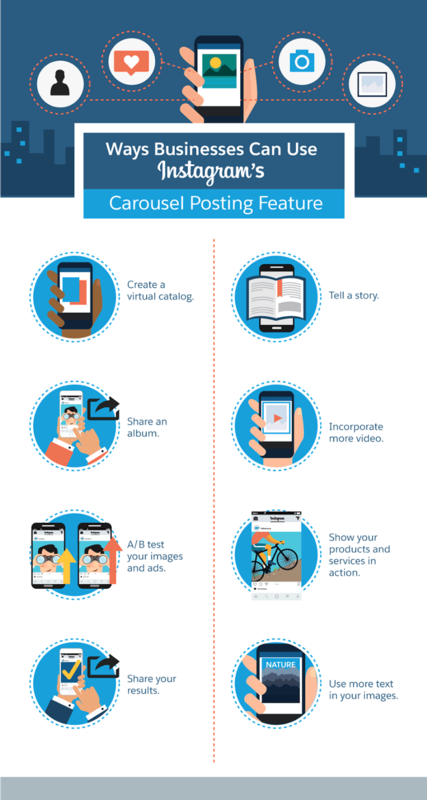 Want to maximize Instagram Carousel for your business? It’s a recently-added multiple image posting feature that lets you combine up to 10 photos in a slideshow. Instagram Carousel can be an exciting tool for brands and businesses to maximize engagement, refine storytelling, beautify their feed, and even optimize ad placement. Why is Instagram Carousel useful? For longtime users of Instagram, what’s consistently been a bother has been the visual clutter. Say, for example, you wanted to post about an interesting process or an event that happened at your company. To do that well, you needed about six photos. With Instagram, your only option would be to post one photo after the other in six separate posts, taking readers along with you – but also perhaps losing them as they had to scroll through your photos and others in their feeds, too. And posting six photos in a row is sure to lose you followers who aren’t quite that in love with your brand. Fortunately, Instagram has finally come up with an answer: multi-image postings. Using this capability, the more than 700 million Instagram users can now see posts that include up to 10 images. It’s visual storytelling at its best, giving you the capability to tell a story that’s longer than a single image and more robust than a few short hashtags. So you can take that event at your company and show its progress from start to finish, or gather the best images that showcase its prime moments. Ready to learn more? 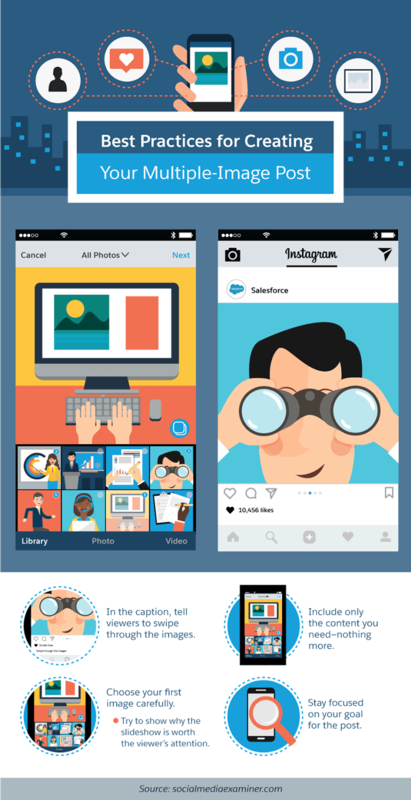 Check out the graphics from SalesForce. Be sure to add images in the order you wish them to appear. Images will be cropped to the same shape (no longer requires square). Videos added must be 60 seconds or shorter. After we first rolled out in February, these posts could only be made up of squares. 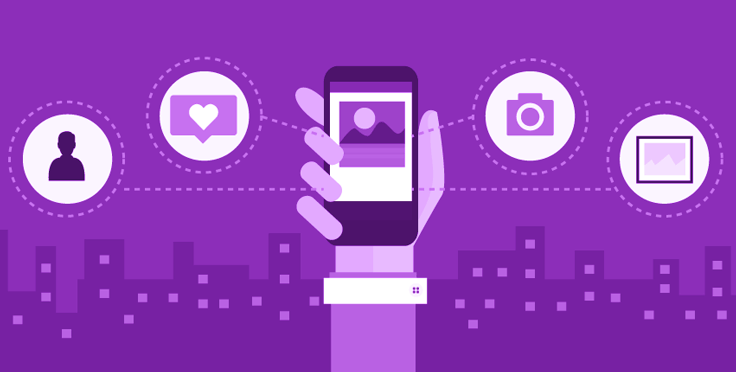 Now, when uploading your photos and videos, you’ll have more creative flexibility with the ability to share in landscape and portrait formats. To keep the experience smooth and consistent, however, all photos and videos in your post must be shared in the same format. Make the first image count. Don’t add filler! Only quality images. Tell viewers to swipe through in your caption. Remember your goal for the post. Get more detail on the pointers at SalesForce. Now let us know in a comment: Will you try Instagram Carousel? Whats your review about buying some instagram followers to grow my account? What is your opinion about purchasing some instagram followers to grow my account? Horrible idea – I block this type of account on IG. I also removed your link. I recently stymbled on your page and youve had some very informative content. I’ve had issues with this feature and have been searcing for answers, I wasn’t able to post 2 photos but I was able to post 3(supposedly beacuse IG felt if you post 2 photos you couldn’t decide, plus its a waste to swipe for just one photo). And recently I tried to post 4 photos telling a story, and IG kept saying “will auto-post when possible” – What does that mean? Sorry, I haven’t heard of this issue. I see posts with 2 images like a before and after, so I don’t know why your account couldn’t post it. It sounds like either you have a problem with your connection, or possibly your account is flagged. 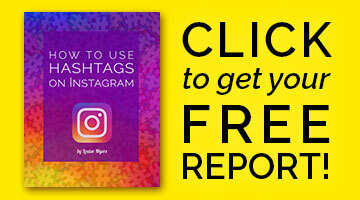 Explode your Instagram with Hashtags! What’s the Best Instagram Image Size?